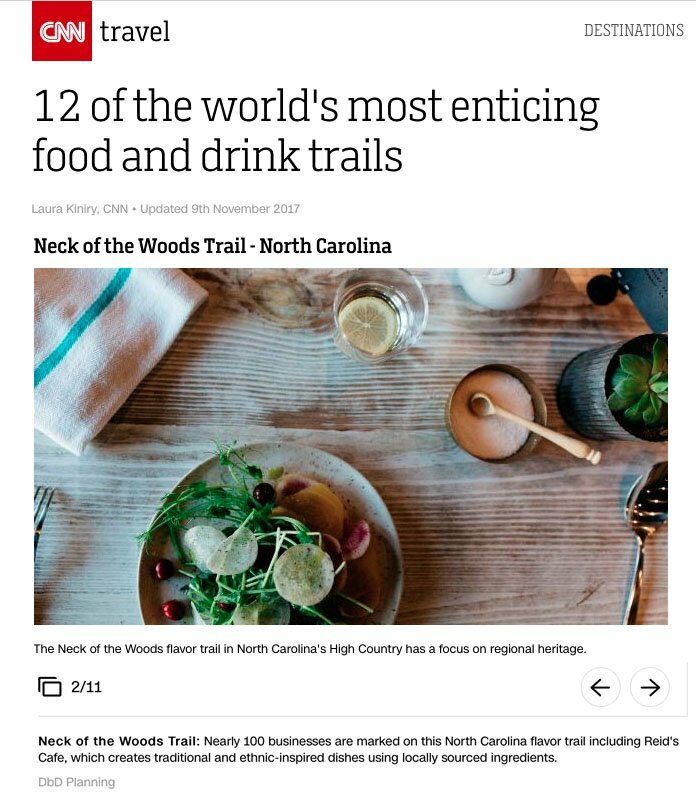 Destination by Design’s Neck of the Woods Local Flavor Trail is “one of the world’s most enticing food and drink trails”. Tourism and economic development leaders of the High Country are teaming up with Destination by Design to build a more vibrant food scene while paying tribute to our shared Appalachian Mountain food heritage. 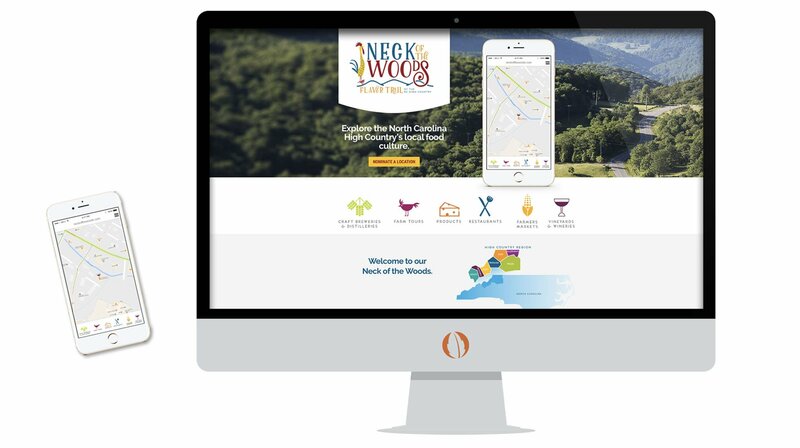 The project spans 7 counties in the North Carolina High Country region and involved small business engagement, brand creation, website development, and a print map to guide visitors and locals alike to all the great local food spots of the area. Print map and mobile friendly website. The project was also recognized in WNC Magazine; see the article HERE. This project aims to empower the local food economy through innovative brand development. It was funded by the Appalachian Regional Commission as well as the Boone and Blowing Rock Tourism Development Authorities.